The cargo bike is a great alternative to the car in congested cities; with our stackable modules we give sustainable initiatives endless possibilities. 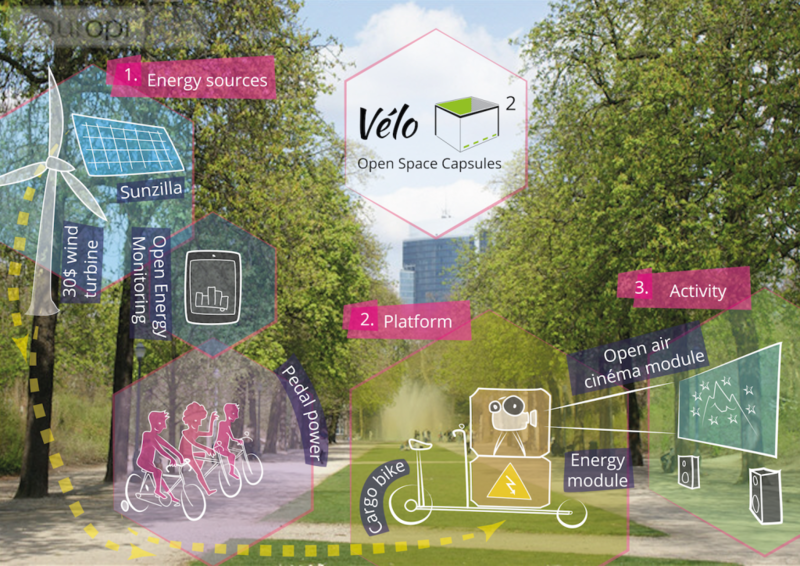 Vélo M2 (pronounced Vélo em carree) is a multi-modular capsule system fitting on cargo bikes. 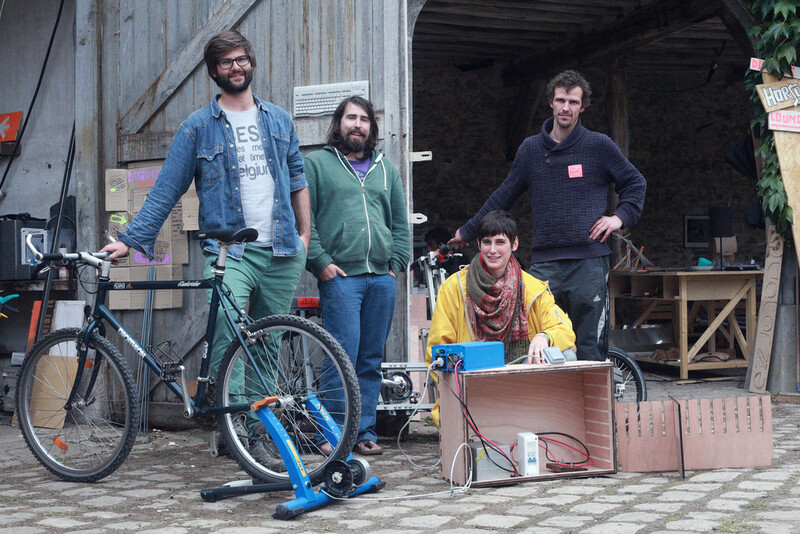 With our energy module supplied by solar and pedal power you can have the electricity on location to power an open-air cinema, a mobile fablab and much more on top. We bring all these plans to an open source platform and community where anybody can contribute. 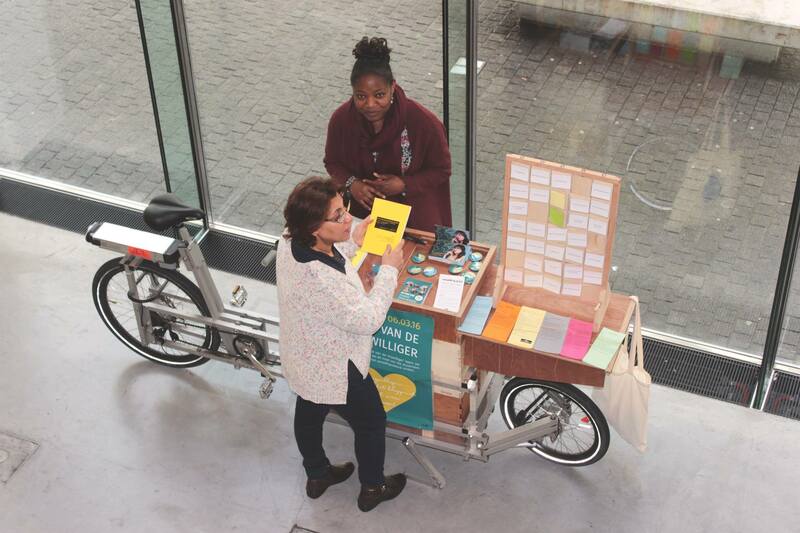 Cargo Bikes can be used for more than only transport, with Vélo M2 we give the tools to rethink how we interact in Public Space, move in the city and use energy. As a bicycle lover I’m glad to see these multiple adaptations to the cargo bike. 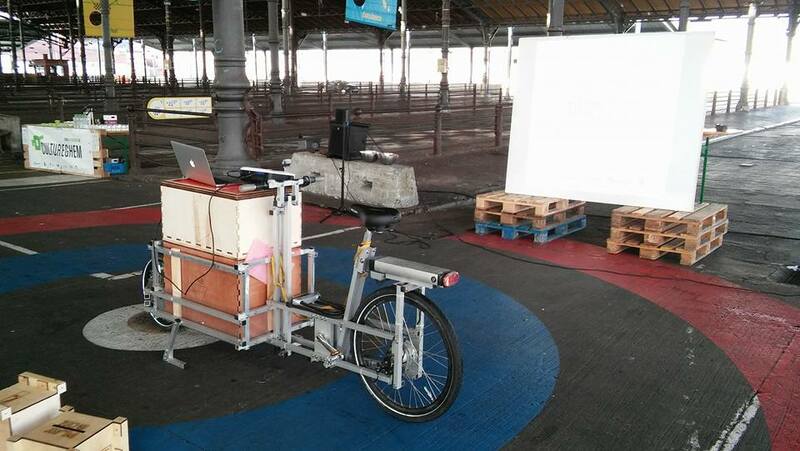 The modular cargo bicycle is a great idea in order to open up the possibilities for using a bicycle for various cargo purposes. Seeing your designs made me wonder how a modular bike can be modified in ways that change our experience of cycling. I would love to have a bicycle that I can modify according to my whims, such as dropping it to a low rider or folding it forward into a racing bicycle. Can the bicycle be re-assembled as a child’s pram or as a workman’s wheelbarrow? What I’m getting at is to what extent can we further explore a modular approach to bicycle construction and can we expand the uses of a bicycle into new assemblages that transcend traditional bicycle mobility? Thanks for sharing your opinion, yes it could be a possibility with this kind of bike to look further in multi purposing that infrastructure. When you go on the site of the designer collective N55 you can already see that they are using the fact their bikes are made out of “mecanno” like parts to give it new functions. Great to hear that, I would love such adaptability in a bicycle. And what about for you? I’d really like to know the next step with your approach to the bicycle? 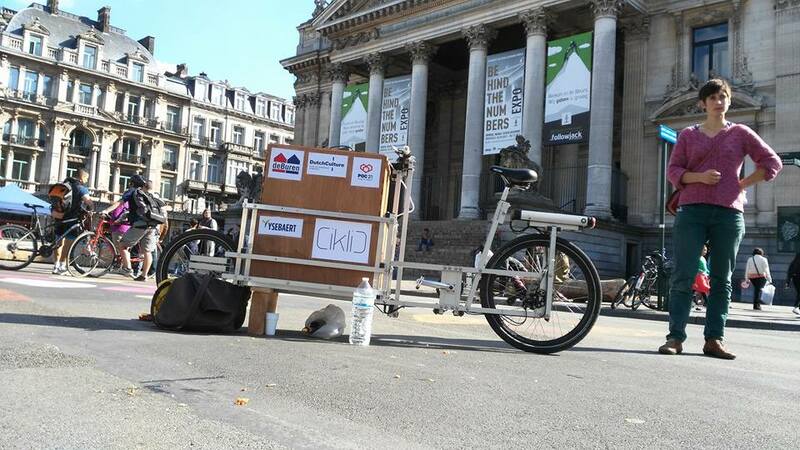 Hey Michael, at the moment with vélo m2 we are continuing by building our platform to be as accessible as possible and to share the cargo bike possibilities with as much people as possible. 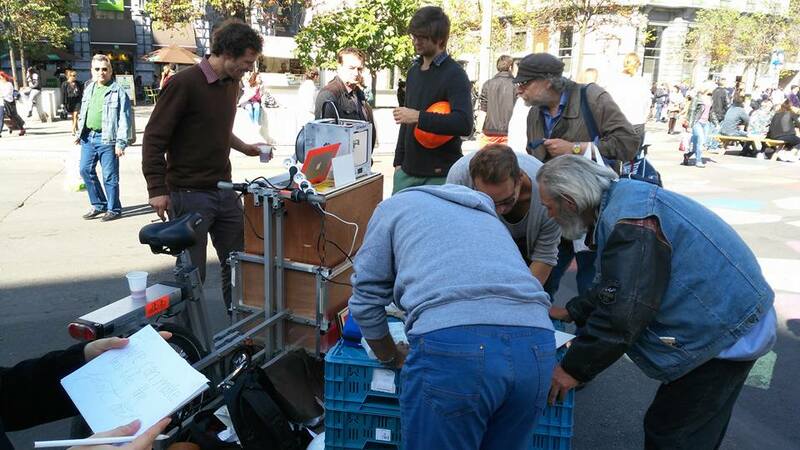 We have new modules around herbes gardens in a difficult neighborhood in brussels (https://canalaccroche.wordpress.com/) and we are looking to translate our methodology of modules on a cargobike to refugee camps through the soon to be announced ROC (refugees open cities) project that will start in Germany. Building a radio transmitor for communication or a low tech cooling system are some of the ideas to come. 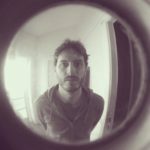 What you point, Yannick, is great, for it shows that the ‘bike’ is just but an illustration of what a different kind of organizational system might look like. In that sense, the bike is just a ‘support’ for imagining a different world.